And in the end, this is a thin humanitarianism, since one never finds the humanitarian militarists arguing the true humanitarian case: not bombs but open borders. Let in anyone who wishes to escape. Rather than bombing the Assad regime, Gourevitch says, let the Syrian refugees into the United States. What’s being advocated here is clear: no to empire, yes to refugees. Needless to say, I too subscribe to that notion and am against US imperial intervention. But I fear that these two positions are just not enough. On their own, they constitute an impoverished politics. In order to explain why, let’s briefly apply the same principles to the Palestinian-Israeli conflict. When Israel brutally kills Palestinians, as it regularly does, do progressives in America only say “let those Palestinian refugees who manage to escape come to the US”? Absolutely not. Because they know that this would just aid Israel’s colonial designs and invite Israel to continue behaving with impunity in the region. Progressives stand in solidarity with the Palestinians, call for an end to Israel’s bombings, and demand that Israel be prosecuted for crimes against humanity. They also push their own imperial state to stop all military aid for Israel, stop feeding Israel’s colonial appetite, and stop shielding it from international justice. Why is the Syrian case so different? The reality is that the Syrian catastrophe is even more acute. With half a million dead and millions displaced, the scale of the Syrian carnage is vast. 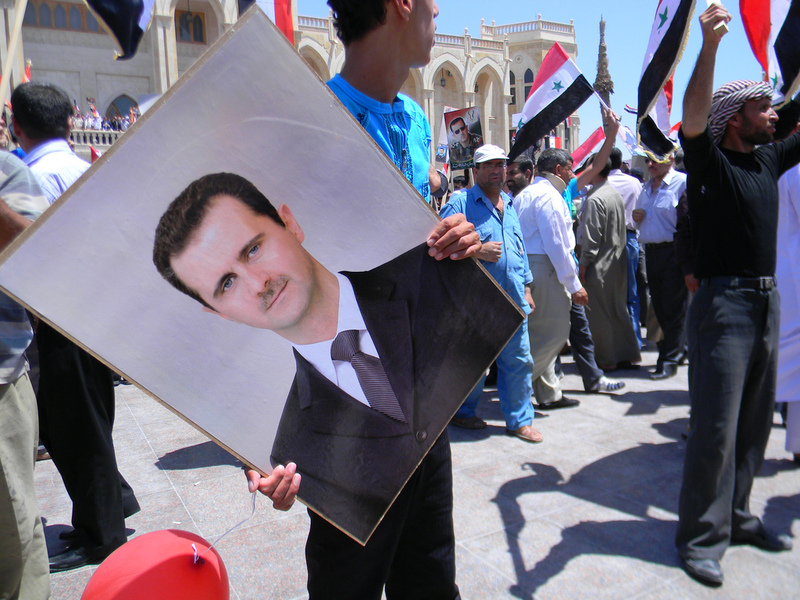 Assad’s dictatorship would rather kill, besiege, and starve the population than allow them dignity and democracy. Either live in humiliation and servitude, leave, or die. No people should have to accept these miserable options. Yet some American progressives haven’t afforded the Syrian people what they have so admirably afforded the Palestinians. Why is there no clear condemnation of Russian and Iranian intervention in Syria, without which the Assad government would have collapsed? Why was there no mention of the fact that Washington blocked Syrian opposition access to anti-aircraft weaponry, without which the regime was free to rain bombs on them? US progressives cannot keep ignoring the fact that the Syrian people’s cause is just and that their right to freedom is as important as anyone else’s. We need to address the root cause of the refugee crisis and formulate a genuinely internationalist response to the Syrian catastrophe. Being contra-empire and pro-refugee is not enough. It is simply unacceptable to stand by and see a brutal regime like Assad’s get away with emptying Syria of its own people. Syrians have a right both to live and to live freely in their homeland. No regime should be allowed to massacre its own people or force them into a life of permanent exile and displacement. If the answer to Israel’s colonial persecution and dispossession of Palestinians is to help Palestinians stay in their homeland and fight for their rights, then the same solidarity principle should apply to Syrians. Do open your borders to the wretched of the earth, but also stand in solidarity with the fight for their rights in their homeland.